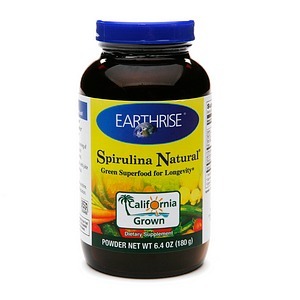 Earthwise Spirulina Natural Powder is a very high-quality spirulina produced in California. Earthwise has the world’s largest spirulina farm in the Sonoran Desert of southeastern California far from highways, airports, and cities. Their Spirulina is grown under a controlled environment without the use of pesticides and herbicides, and with an effort to be environmentally friendly. 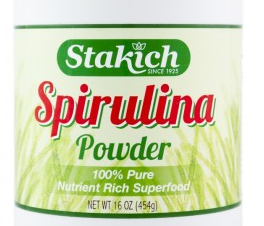 This trusted brand makes a delicious, healthy spirulina that we would highly recommend. 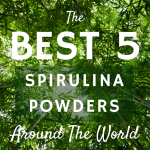 Unfortunately, it also comes at a higher price than international spirulina powders, but check out the rave reviews, and then try some for yourself! 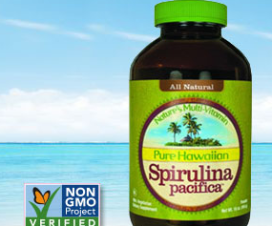 Nutrex-Hawaii Hawaiian Spirulina Pacifica is one of the most popular brands of spirulina and for good reason. Nutrex-Hawaii makes a high-quality, delicious spirulina that I absolutely love. Situated on the bright, sunny Kona coast, Nutrex-Hawaii’s farm receives more sunlight than any other coastal location in the United States enabling Nutrex Hawaiian Spirulina Pacifica to grow continuously for 12 months a year. 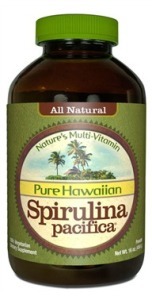 Everyone raves about the wonderful taste of spirulina grown in Hawaii. 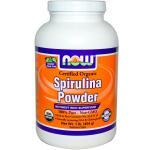 BulkSupplements Pure Spirulina is a quality spirulina harvested in China but tested and packaged in the US. Customers love this product as it has one of the highest ratings on Amazon. You certainly can’t argue with the price. So even though it might not taste as good as some of the Hawaiian or Californian brands, it’s a good deal if you’re just looking for a powder to mix in your smoothies. 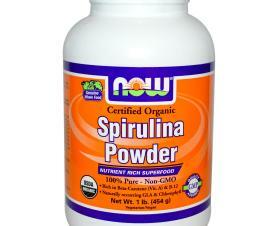 There are a lot of reasons I love Now Foods Organic Spirulina Powder. 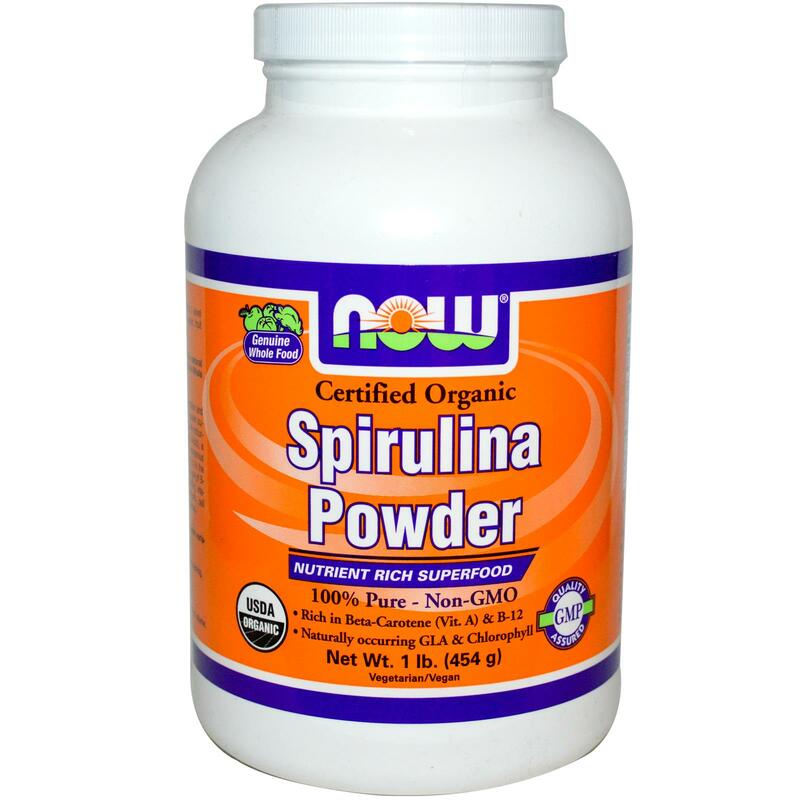 Now Foods is a family-owned private business that makes a wide variety of quality supplements including spirulina. This is a high-quality, USDA certified organic powder which you can buy at a relatively low price. 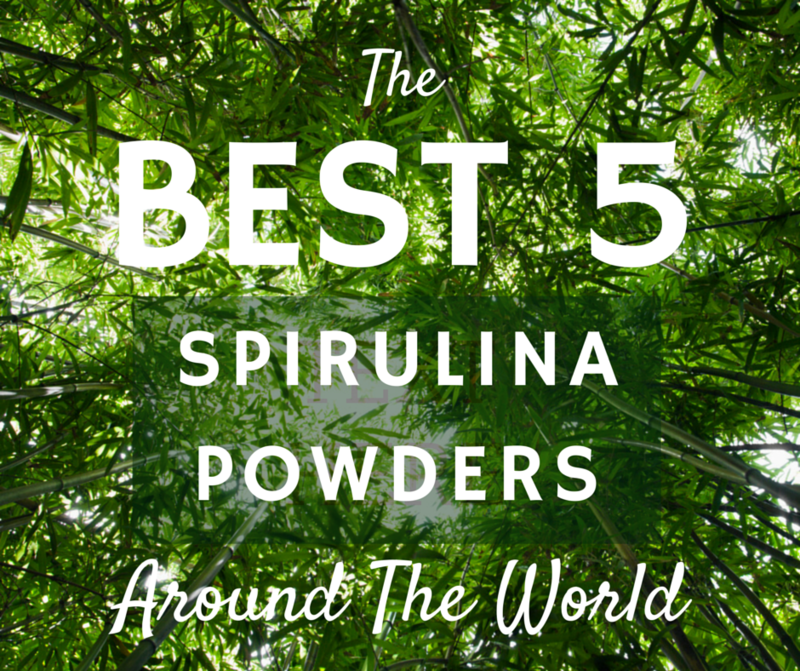 Similarly to the spirulina produced in China, it does not taste quite as good as California and Hawaiian spirulina, but you can definitely mix it into a smoothie. 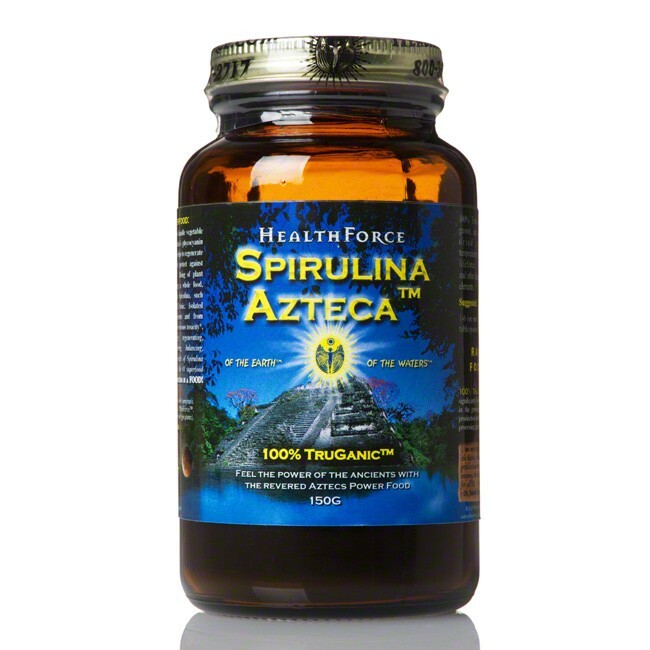 Healthfoce Spirulina Azteca is a wonderful spirulina made in Chile. HealthForce Nutritionals is a 20-plus year, 100% hard-core, vegan, therapeutic superfoods company. They’ve created a purist, hard-core quality standard for sourcing and production which they claim is significantly beyond Organic called Truganic. All of their products have to pass tests to adhere to these high standards. Spirulina Azteca is a certified organic variety from Chile in South America. It is grown in a man-made environment and is certified contaminant-free. It has a bit stronger taste and smell than their California product, but it mixes well. 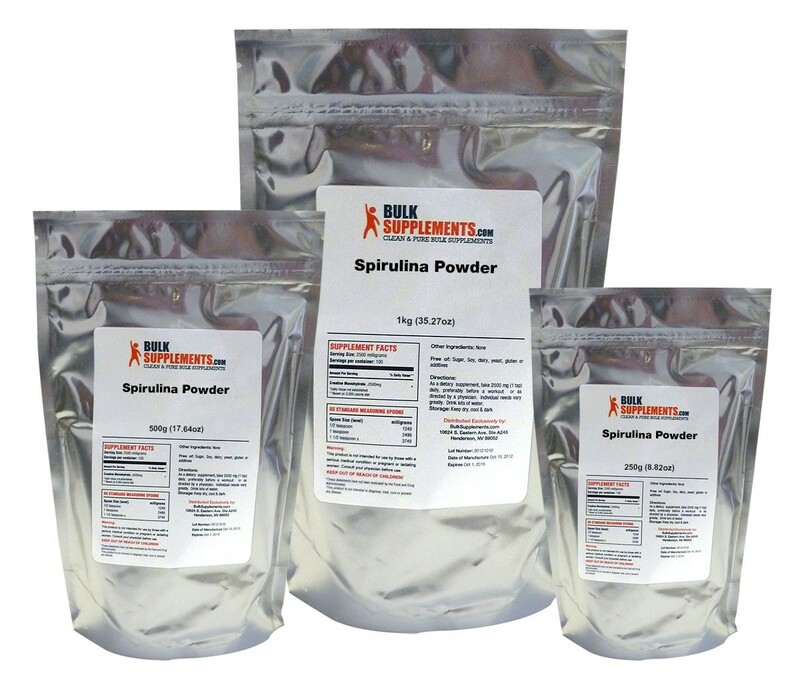 If you’d like to read more about spirulina, here are other popular articles we’ve written about how to take spirulina and the right dosage. 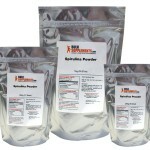 I have been using Nutrex spirulina popwder now in the 5 lb. amount. I have carefully kept it sealed in the freezer. It was almost 1 year before the expiration date & it changed color on me. From a dark blue-green color to an olive green color ! Something went wrong & it wasn’t me. (2) 5 pound bags turned color . I have contacted the company & they did absolutely nothing about it. Exceptionally poor customer relations. The receptionist that answered the phone was rude & unhelpful. I did not get refunded for my purchase, therefore I am out literally hundreds of dollars. This company offers a poor quality product & does not cooperate in returning defective spirulina ! I have been purchasing from them for many years now & I will never buy from them again. Very disappointed. 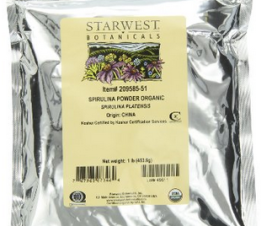 Is the brand smart organics a good organic spirulina powder. healthforce spirulina azteca’ looks the best, but concerned it says on the warnings it contains lead? Curious about the kinds Starwest herbs carries. Have you checked these out? Also you didn’t say much about the Healthforce kind grown in the US? How does it compare with say the Hawaii in taste and quality?